Very nice quality and love the color. Pretty much as photographed. Easy to put together and very sturdy. Window area is very clear and of good quality. I really love it!!! Just the right size for the mini bundt cake I made for my bake sale! 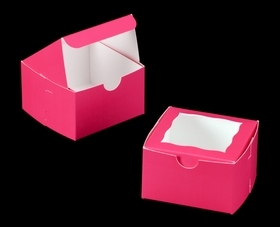 Great box for mini cheesecakes! Great pink color, fastest ship in town, company was terrific to deal with. Will definitely use them again!! Would you be willing to make this box in a 6 x 4 x 2 size? They would fit my trays perfectly and I just love these boxes!! 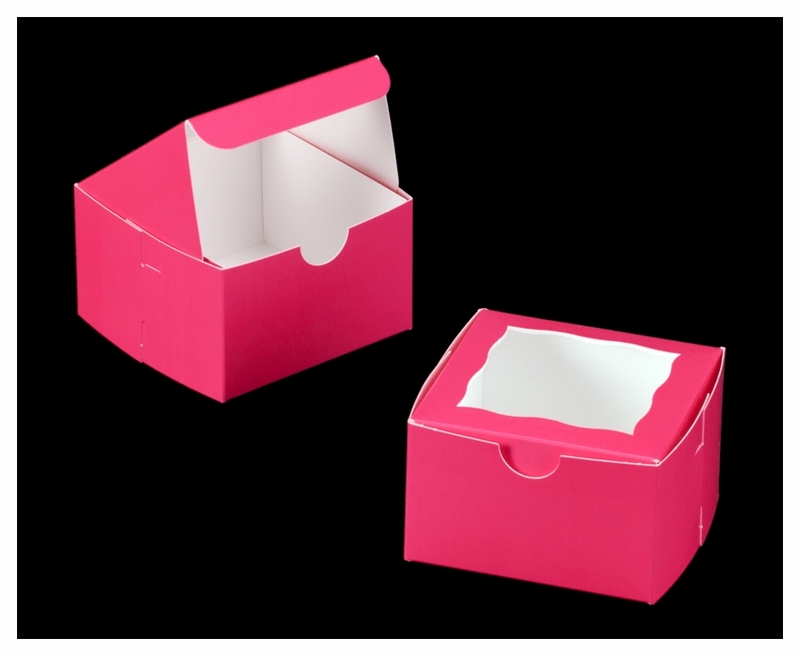 Is there a mini cupcake insert for this box? I see there is one for the 7x7x2 1/2 but I don't see one for this size. Hi Tracey, We do not have a mini insert for this size. The insert for the single mini is item 3370 and the box is item 3478.